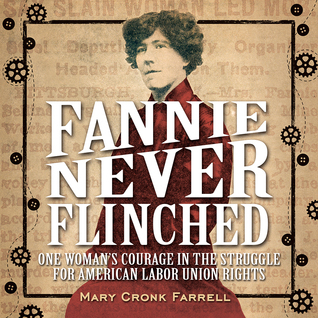 Fannie Never Flinched: One Woman’s Courage in the Struggle for American Labor Union Rights by Mary Cronk Farrell, November 1, 2016. 56 pages. Published by Abrams Books for Young Readers. Source: Publisher*. 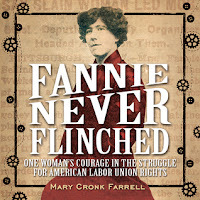 Fannie Never Flinched by Mary Cronk Farrell, November 1, 2016. 56 pages. Published by Abram's Books for Young Readers: Source: from publisher/review stack. I actually already have a copy of Fannie Never Flinched, of which I am quite excited to read, sitting on my desk waiting to be read. As a history junkie, I could not pass up the opportunity to read about Fannie Sellins' who helped to form unions and to fight for just wages, conditions, and fair treatment for workers. I am rather excited to see how Mary Cronk Farrell will tell her story, as well, as a look into American History (because it is not as filled with sunshine and daisy as most history curriculum would have you think). Have you heard of Fannie Never Flinched? 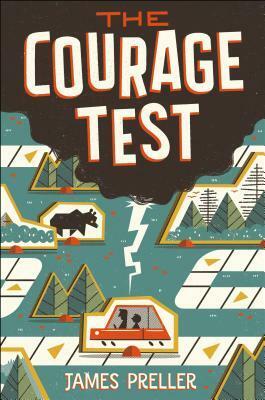 The Courage Test by James Preller, September 13, 2016. 224 pages. Published by Feiwel & Friends. Source: ARC from publisher*. My mother pushed me out the door, and I don't know why. First off, I would like to thank Kendra (of Reading Over Time), Melissa (of Live, Love, Read), Emily (of Emily Reads Everything), Sondra (of Sorcery in the Bookshelves), and Stephanie (of Reading is Better with Cupcakes) for allowing me to share pieces of the mystery story on all of their wonderful blogs! Thank you so much for joining and making my blogoversary a most interesting event!! Today is a momentous occasion for The Haunting of Orchid Forsythia as today marks the eighth year since I launched my blog! OH MY GOSH! To be quite honest, I cannot believe that it has been eight years since I first started my blog. As I usually manage to miss celebrating it, I wanted to do something different hence Storming the Castle: A Mystery Story! You can see the entire story!! Once you read it all, come back here and tell me who you think they're searching for!! I'm dying to know if anyone can solve the mystery!! Also, you can get to know each of these awesome ladies better through Storming the Castle's 5for5 lineup of posts! I could not have done this without the help of the above lovely ladies and their kindness!! Also their patience for the story pieces coming in so close to deadline! THANK YOU!! All story pieces were fueled by mint tea, mint hot chocolate, and a dose of lack of sleep! It was fun and helped me to shatter my hesitancy of sharing my creative writing projects! I hope y'all enjoyed reading each part as much as I enjoyed writing them! Thank you for reading the Haunting of Orchid Forsythia and "HI" to all the long-time and new followers! 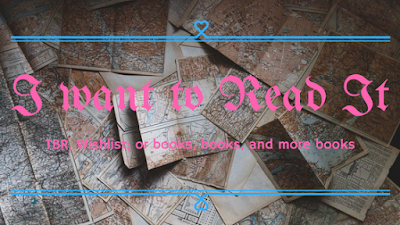 I hope y'all will enjoy the blog and, hopefully, you'll find some excellent books to try out! Both new and old books! I'm shy, but I don't bite, so feel free to say hi or ask a question. A mystery is unfolding over the course of the next six days. Do you have the nerve to to accept the challenge of solving the mystery. Who is the girl behind the blog? Follow all the stops to learn more and to see where the story will go!! Hi there! i am excited to welcome Stephanie of Reading is Better with Cupcakes to the blog for 5for5!! Also, Part V, also known as the end, of Storming the Castle: A Mystery Story is now up and ready to be read. Stephanie, how long have you been blogging? What inspired you to start your blog and what keeps you motivated to continue blogging? I have been blogging a little bit over a year now. I started blogging because when I became a SAHM to my now 20 month old daughter, I realized that I was reading a lot and that I should do something with it! 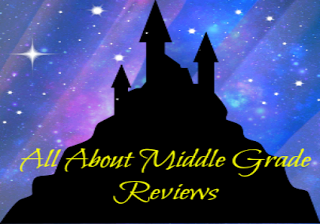 So I made a book blog where I could post my reviews and share them with more people. My motivation to keep blogging is that I love books. I love spreading them around and encouraging people to read. There is just something about it that makes me feel all warm and fuzzy inside. I know that you are quite crafty, can you tell us about the crafts that you do? Any that you would like to learn? What is one craft project that you’re most proud of finishing? Oh geez. You should see my garage! It is filled with crafting materials for so many different types of crafts. It kind of drives my husband crazy! My current favorites are coloring and papercrafting, but I have the materials to do a whole lot more than that. I am slowly teaching myself how to crochet and I really want to learn and become really good at lettering! On a more serious note. If you could have a do-over and read a favorite book for the first time, which book (or series) would you like to start over with? What is it about that book that makes you wish you could read it for the first time all over again? Let me be cliche and say Harry Potter. Actually though, I just reread it for the first time last year....and it had probably been over 10 years since I had originally read it! So it was ALMOST like reading it for the first time again. At least that is what I am telling myself. Now I just need to reread the rest of the series. If you could have tea with any author living or dead, who would it be? What would be the first question you would ask him? What is the first question you would ask them? I think for this one I have to say that I would really like to meet Maria V. Snyder. I have enjoyed the books that I have read of hers immensely (and I have read most of them). I don't know if there is anything specific I would ask her. I would just like to get to know her as a person in general. You are stranded on a desert island and can only take one thing with you, what will it be? I am going to go with inspiration from a book that I just borrowed from a local little free library and say that I would want to take a Hatchet with me. So versatile. You know what, I did the same thing with Winter of Fire a few years ago.It had been years since I last read it that it was like the first time. Ooh, papercrafting, that is one crafting skill I would like to learn. I tried teaching myself how to crochet and was never able to make it past the most basic stitches. You'll have to let me know how it all goes!! What is your favorite cupcake? What book do you think it would pair up the best with? My favorite cupcake would have to be chocolate with chocolate frosting! Did I mention I love chocolate! Strangely enough, I think it would pair well with Harry Potter. Why, because even though the series gets quite dark, rereading it is always like a special reward; kind of like chocolate, chocolate cupcakes!! When you aren't reading, what do you like to do with your free time? When not reading, I enjoy sewing and embroidery; as well as soccer and running. I'm still learning new techniques for sewing (finally mastered zippers) and how to tidily do my stitches for embroidery. What is your favorite blogging memory so far? Can I have two...they tie in together!! Well, my favorite blogger memory would have to be Storming the Castle and working with everyone. That and the realization that I have stuck with blogging as long as I have. I never once thought that eight years later I would still be blogging and enjoying it, if possible, more than before! What do you do with your book swag? I give a lot of the bookmarks to my local library. The rest of it, what I don't plan on keeping is sent out as bonus surprises for the rare giveaway that I host. What is your favorite mythical creature? Is there a reason for it being your favorite? Griffins! It goes back to a duology by Diana Wynne Jones that I absolutely love! Seriously though, if you have not read The Dark Lord of Derkholm and Year of the Griffin, I cannot recommend them enough. They are a wonderful blending of fantasy and what would happen if our world collided with that of a fantasy type world. The Derkholm duology was my first introduction to Diana Wynne Jones' books, so, they hold a special place in my bookish heart! Stephanie, thank you so much for stopping! Be sure to check out Stephanie's blog Reading is Better with Cupcakes!! Don't forget, you can find Part V of Storming the Castle: A Mystery Story over on her blog! Need to catch up on the what you missed, or maybe you just want a reread, you can find all five parts by following the links! You should also check out everyone's awesome blogs while you're there!! As we embark upon the third day of Storming the Castle: A Mystery Story, I am excited to welcome Emily of Emily Reads Everything to my blog. Emily, how long have you been blogging? What inspired you to start your blog and what keeps you motivated to continue blogging? I’ve been blogging for 18 months. I started because I love books and I wanted to recommend books to people. However, the people I’ve met on twitter and in the blogging world really keep me going. When not reading or blogging, I enjoy_____? One thing I’ve always wanted to learn/do is____? When not reading? What’s that? Seriously though, I volunteer for a nonprofit for 10-15 hours a month. I’ve also always wanted to learn Spanish. I think that every book series I’ve loved, I read either at the right time or at the right pace. I firmly believe that everything happens for a reason. If I were to start again and be able to read a favorite series again for the first time, I’d be afraid that I wouldn’t love it the way I do right now. The robot uprising has begun, which fictional character is capable of saving humanity from being enslaved? Robots are more sci fi than fantasy, so I would need a sci fi hero. I choose Captain Jean Luc Picard. I think he would have a lot of resources. Maybe even an in since he was half robot when assimilated by the Borg. Also, I’m a nerd. A boat, so I can sail away. Spanish is one of many languages that I hope to learn (when I get a little extra time). That is a very good point, though sometimes, I just wish for the chance to fall in the love with a book or series again. Who am I kidding, that happens each time I revisit my favorites. Thanks so much for joining in, Emily! Now, now it is my turn to answer Emily's questions!! I cannot wait! I always want the best for people and I think its important to have a plan. What is your goal for your blog? My goal, well, I'm still trying to figure out my overall goal plan for my blog. Ideally, when my schedule opens up next year, I hope to expand my middle grade features and to increase the traffic that comes to my blog. Right now, I just don't have the time to dedicate as much time and energy to growing my blog and doing all I want to do. In short, I want to maintain featuring both new and old titles that catch my attention. As there are so many books and authors out there that don't get nearly enough attention. Really, the overall plan is one that is, and has been, slowly evolving as I figure out what I want to see in my blog. Do you like to cook? What is your favorite recipe to make? While I don't really like to cook, I don't mind baking the occasional quick bread. My two favorites to bake are banana bread and this new pumpkin bread recipe the I recently found. Do you have any pets? Are you a cat or a dog person? I have three Australian Shepherds! Sometimes they can be a little "spicy" when they're bored, but they are the sweetest dogs. Also crazy smart! Both! I love both dogs and cats; although I'm allergic to cats and thus cannot have one. Which is sad because cats are interesting little creatures. Oh, that's difficult as I have not had a five star fiction read, that was not a reread, in probably a year. It took some digging, but my last five star fiction read was See How They Run by Ally Carter. I just love her books and could not put this one down!! Yet, if we go with non-fiction, my last was Echo of God: A Commentary For Beginners On St. Louis Marie Grignion De Montfort's True Devotion To Mary by Fr. Lance W. Harlow. This book was incredible!! What is book did you have a completely different opinion about than most everyone else and why? Probably Romeo and Juliet. I know that most people love that book and consider it romantic. I really rather loathe it. And hat is putting it mildly. I just really do not a) like the play nor what it is about and b) do not like how so many interpret it as romantic when it is in fact a tragedy. Be sure to check out Emily's blog, Emily Reads Everything for Part III of Storming the Castle: A Mystery Story. You can catch up with Part I & Part II if you missed them, as well, as the first two 5for5 posts with Kendra and Melissa. Today, I am excited to welcome Melissa from Live, Love, Read to blog!! 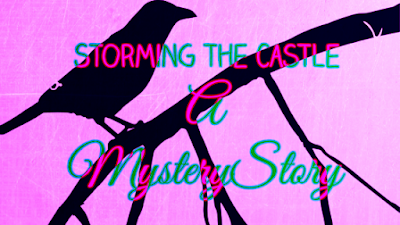 Be sure you stop by her blog to see the second installment of Storming the Castle: A Mystery Story Part II!! Melissa, how long have you been blogging? What is the upside and downside to blogging within a group blog versus going solo? What keeps you motivated to continue blogging? So I’ve been blogging for over a year now with my co-bloggers. However before that I had a podcast with two other girls for about a year until we lost interest. The upside to blogging definitely has been all the people I’ve met throughout all this. Yes the books, events, and conventions are great, but it’s not why I love blogging. If I hadn’t started blogged I wouldn’t have my closest friends who are in the Boston area and living in other states. The downside to blogging I think is just finding the right balance between work and the blog, especially when we’re working with 3 completely different schedules. It’s been difficult lately as we’re taking on more responsibilities, so I’m finding myself taking more initiative and ensuring things get done on time. There are times when I just want to make the executive decision, but I know having my co-bloggers also agree on a decision is just as important. What keeps me motivated to continue blogging is that I don’t want to leave my co-bloggers hanging if I left. They have become such great friends and I know our Musings of Eternal Dreamers feature is very important and if I left it would just stop. What were the last five anime shows that you watched? Top five all-time favorites? When did you start watching anime? Oh this question is going to be challenging. It’s been months since I’ve watched Anime because I watch in long spurts and then stop. It’s always dependent on the mood I’m in and I don’t necessarily complete all the ones I started. I first watched anime when I was a child. I have no idea how old I was, but I know my very first anime series were Sailor Moon and Dragonball, way before Pokémon and Digimon. My first film was Kiki’s Delivery Service which aired on television at some point in time. I could have a do-over, I would want to read the Percy Jackson series for the first time. However, I would’ve wanted to read them as they were being released. There’s something about the experience of waiting forever for the next book to come out that I would have hated and enjoyed with this series. Also, I’ve always loved Greek mythology and Rick has a way of making them wildly entertaining and hysterical. What kind of crafts do you enjoy doing? What is one craft that you have always wanted to learn? It’s been ages but scrapbooking and origami are some of my favorite crafts. I love making jars of the little origami stars. I need to work on my scrapbooking skills. I think I would like to learn how to improve my sewing and decorating classes because I stink at icing cupcakes etc. Can it be TARDIS? Or does it have to be a real thing? Probably a pocket knife so I can use it to get the hell off the island and for defense purposes because you never know. You can most definitely pick the Tardis! I know I would!! Sounds like me, when I have time and motivation I binge all the anime shows and then, when the feeling passes, don't watch anything for weeks. But, Melissa, you simply must finish Death Note and Fairy Tail!! I like that, so far, every one has not picked Harry Potter as the book they'd like to "read for the first time again". And now, well, now it is my turn to answer Melissa's questions! What was your first book event you attended? What was that experience like for you? My first book event was a signing that Scott Westerfeld did for the release of one of the Leviathan books. It was an interesting and fun experience because, well, because I had never thought that there would ever, and I mean ever, be the opportunity to meet an author who's books I love. He was hilarious and nice. A great combination considering we drove over three hours to get there and did not get home till about midnight. As much fun as it was, I was too shy to say more than how much I enjoyed one of his other series, Uglies, while he signed my books. I'm not entirely sure! 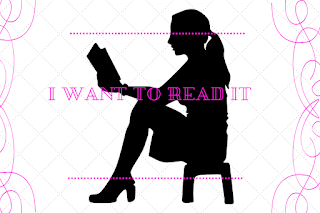 I believe it was a mixture of boredom and needing an outlet to talk about what I was reading. Truthfully, it has been so long since I started blogging that I cannot recall just why I started. But, I do remember that reading Meg Cabot's blog was one of the things that inspired me to begin. More specifically, it started with picking a name and hitting publish on a post...two weeks after I set everything up. If you could be transported into any television show which would it be? Does anime count? If so, I would not mind being transported into Fairy Tail! Even though the Fairy Tail guild is always caught up in some kind of madness, I cannot help but wish to spend at least a day in that world because the characters are some of my favorites. TARDIS!! Again! Just imagine all the books you could cram into the TARDIS compared to Beast's library. SO MANY! Plus the beauty of using it is taking all the books anywhere through space and time...never without a book, that is how it should be! Deckled Edges, dust jacket art, or foil art on the book? Foil art on the book because it's like a wonderful secret hidden away for the curious. Sometimes I wonder though how many books I own that have foil art that I have not noticed! Again, don't forget to check out Melissa's blog Live, Love, Read to see the second part of the Storming the Castle: A Mystery Story. 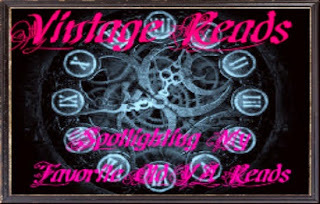 Today, I would like to welcome Kendra from Reading Over Time to my blog. Be sure to stop by her blog to read the first installment of Storming the Castle: A Mystery Story. • Kendra, how long have you been blogging? What inspired you to start your blog and what keeps you motivated to continue blogging? I have been blogging for around two years for sure in the book blogging area. I am pretty sure, around one and a half years on my first blog and a little more on my current blog. I started because I wanted to share my feels about books as well as do book tags like on YouTube, without having showing my face. Well, what motivates me to continue blogging, is well, I don't really know. Maybe I am interested to see how good my blog can be. • Is there one book or person that has inspired you to be a better person? I think it is more of a group effort that made me a better person. Different books, people, authors, they all influence me in their own way. I do believe the people whom influence me the ones who influence me the most would have to be my parents. They were the ones who encourage me and my siblings to do what we love and be kind. I am aware that I probably got off topic, but let's continue! • On a more serious note. If you could have a do-over and read a favorite book for the first time, which book (or series) would you like to start over with? What is it about that book that makes you wish you could read it for the first time all over again? If I could have a do-over, I think that I would probably read The Lost Hero by Rick Riordan, which must seem weird since I know that so many people would choose Harry Potter. I didn't grow up with Harry. When I read them all the books were out and I basically binged read them. However The Lost Hero was what really got me into those kinds of books, and was what got me into collecting my own books because before that, me and my sister pretty much shared books. I would like to revisit for the first time again to laugh at the jokes and learn about Piper, Jason and Leo again, since I read this book before I read about Percy Jackson. This was my entrance to Rick's books. • What is your favorite book quote and why does it mean so much to you? My favourite (sorry I am Canadian) quote would have to be one that Tessa Grey said in Clockwork Angel, "'One must always be careful of books,' said Tessa, 'and what is inside them, for words have the power to change us.'" I remember reading it and thinking about how much books have influenced my life and how much of it I owe to my love of books. So much of who I am today has been created by the books I read and I love how this quote shows that. • You are stranded on a desert island and can only take one thing with you, what will it be? Obviously my laptop. I would be able to access music (heck ya I am going to have wifi) and books as well as fanfictions. I am also a writer, so it pretty much works pretty well for me. If there is some way for me to charge it, it would be pretty useless if they weren't working. As much as I adore Harry Potter, I like that you would choose The Lost Hero instead as your "read it for the first time again" pick; that and that your parents were a big influence upon your life. And that quote! I forgot all about that wonderful quote from Clockwork Angel and am super glad you mentioned it, as well, as why it means so much to you! Guys, now it's my turn to answer Kendra's questions and I am so excited!! What are your favourite kinds of post to make? Why are they your favourite? 1) Teaser Tuesday, hosted by MizB of Books And A Beat, because I quite enjoy sharing short quotes from the books that I have read and reviewed. It's one of my favorites because seeing quotes from books that everyone enjoys usually makes me want to read the book more than just reading the synopsis on Goodreads. A good quote piece tells me a lot about the book and whether or not it would be something I personally would enjoy. That and I just really, really like book quotes! 2) This Book is So- where I secretively talk about what I'm reading and how I feel about a book via gifs. As much as I enjoy review writing, it is the fun posts that are my favorites. If you could chose one book for everyone that you know to read, what would it be and why? Hands down, it would be The Last Battle by C.S. Lewis. Even though it is the final book in the Chronicles of Narnia, it is such a beautiful and powerful book. I have read it at least ten times and it still hits me in the heart each and every time. I love this book with all my heart! Other than my undying love of this book, the reason I believe everyone should read it is... That it gives a beautiful perspective on Heaven. Like how it is more, well, everything than anyone can possibly imagine. For the last book you read, what album do you think would be the perfect soundtrack for said book? Why? The last book I read was The Perfect Storm by Sebastian Junger. After much thought, the album that most fitting for it would be Scarecrow by Garth Brooks. As I was thinking over the albums on my ipod trying to decide upon an album for this question, one of the songs popped in to my head and it felt perfect. Perfect because so many of the lyrics seemed to fit with my mental portrait of the people from the book and their backstory; as well as the grief that those left behind faced. What was your favourite book that you read for school and what is your least favourite and what makes them different? My favorite would have to be The Screwtape Letters by C.S. Lewis. It's one that I have returned to many times because it always leaves a different perspective each time I read it. It's creepy as can be given the topic, but, also interesting when you look at it and apply it to the context of our world today and how, chilling as it sounds, easy it is to be tripped up by the devil. Oh gosh, Kendra, you have opened a can of worms here. My least favorite is Romeo and Juliet by William Shakespeare. Oh how I loathe that book and how so many people see it as romantic. It was a tragedy. Everything about that book makes me flaming angry; from the actual story-line to the way it has been interpreted. UGH!! Honestly, I could go on at length on why I dislike R&J as much as I do, but, that would be a very long and rant filled thesis worthy argument. So, I will stop now before I go off on a rage worthy of the Hulk. The difference between them is that one is an overly romanticized, ill perception of the tragic relationship between a young girl and cowardly guy; versus the other showing how the devil tries his hardest to pull as away from the good that will lead one to heaven. They're very polarizing books when I look at them in that light. What is your favourite activity(ies) outside that doesn't include books? Outside of blogging and outdoors, I enjoy playing soccer and running. I just enjoy being outside...when it's hot. Cold weather is another story. I'll be hibernating till summer rolls around again as I hate the cold. Kendra thanks so much for the wonderful answers and questions. Again, don't forget to check out her blog Reading Over Time. Stay tuned as tomorrow we will be traveling to the next blog and back again for Part II of Storming the Castle: A Mystery Story!! You know sometimes you're in the middle of a book and are just about to explode with feelings, be they good or bad, and you just want get them out there and no one is willing to listen. Well, that's what "This Book is So" is for; tell us how your current read is making you feel. Are you head over heels in love with, feeling kind of 'meh' about it, or maybe it's making you feel rage-y. On a whim, I started listening to an audio book that I've had on my computer for at least two years. Oh man, it has started off so, so dull and dry and the narration is putting me to sleep. Like, I did not need to know that much about certain things!! Usually I'll just give up on boring books such as this, but, after the halfway point it slowly started to improve. Of course, that could be because it's finally nearing the main crux of the plot! UGH! Enough with the information dump! This is supposed to be thrilling and...just stop!!! Yeah, I don't think you should have done that...or that. We all know it will play into what happens to all involved. This is not good! Not at all! Yeah, things just went from bad to worse! Pretty sure things are going to be even more dire before the book ends. At least they knew that! Though they could have been a little smarter about things! While the story has picked up, the narrator is still somewhat lacking. Not to be mean, he's just reading it in a way that makes me sleepy and not inclined to listen to the book for long periods of time. So, any ideas on what book I'm currently listening to? I enjoying listening to audio books while doing chores and blog work. It doesn't seem to bother, or distract, me to be typing up posts that have nothing to do with the book piping through my ears. 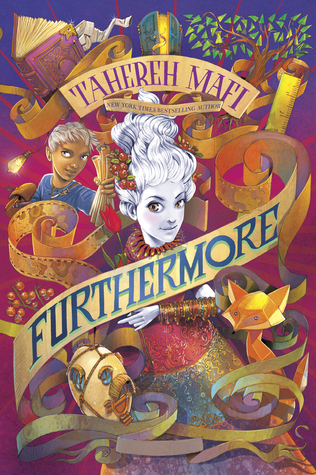 Furthermore by Tahereh Mafi, August 30, 2016. 416 pages. Published by Dutton Books for Young Readers. Source: Wishlist. First off, isn't the cover just perfection for Furthermore!! The colors of the cover have me super curious to discover the world in which Alice lives in and to journey with her as she attempts to locate her missing father. It sounds like a beautiful book; at least the cover gives me that impression. Now don't hate me, but I have not read Tahereh Mafi's Shatter Me series. I know, it was one series I meant to read, I just never got around to it. So, should my library get Furthermore it'll be my first book by her. I am quite excited to give her writing a chance!! 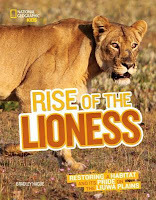 Rise of the Lioness: Restoring a Habitat and its Pride on the Liuwa Plains by Bradley Hague, September 13, 2016. 56 pages. Published by National Geographic Children's Books. Source: Publicist for review*. On first glance, the Liuwa Plains don't look like much. It must have been some Timey whimey magic, but, I managed to finish the book this post is about before the review was due!! Guys, this book, that I'm teasing y'all about, was better than I expected and full of subtle points that were really rather intriguing!! Can you guess which book Made me hungry and delighted me, too!! Its a young adult title by a popular author. OH MY GOSH!! This book just teased, and teased with all these scrumptious sounding delicacies...and that's just not nice! Now I want all the yummy foods!! Okay, it actually was not that confusing. Though, I would have really enjoyed seeing one of the characters story-line further discussed. Actually, I would totally be up for an entire book about this certain character. You know what, this gif just perfectly captures some of what I enjoyed so much about this book! It just really captures the feel that of early dialogue between a couple of the characters. Yes, but the impossible is always entertaining to read about! Definitely not some of the things you did! But then again, that's what gave the main character that spark of life! So, any guesses as to which book I'm talking about? I'm pretty sure, make that positive, that y'all will totally guess it with no trouble at all!! If you do, you simply must read this book when it comes out!! Enders (Starters, 2) by Lissa Price, January 7, 2014. Published by Delacorte Press. Source: Wishlist. Why: Now that I know what happens in Starters I am really curious to see where Callie's story will lead next. I just have this feeling that something unexpected, at least for her, is going to happen and I need to know if my intuition is correct. 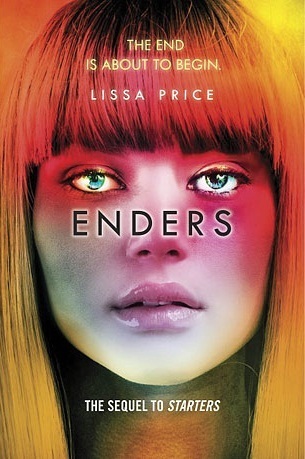 Have you read both Starters and Enders, what did you think? You can see my thoughts on Starters. Starters (Starters, 1) by Lissa Price, March 13, 2012. 352 pages. Published by Delacorte Books for Young Readers. Source: Own. Enders gave me the creeps.